Speed hypnosis and fast inductions. We often compare Speed Hypnosis and Street Hypnosis. Although those techniques may seem similar, the approach of fast inductions, allows many clients to find a deep quick trance level. Based on the approach of Dave Elmann and Milton Erickson and used by many therapists such as Richard Bandler and Jerry Kein, the use of fast induction techniques, on the right moment, will enable you to save time on a therapeutic set. Plus, using this playful approach with teenagers, allows you to start your work with a more relaxed approach, which is different from traditional inductions. 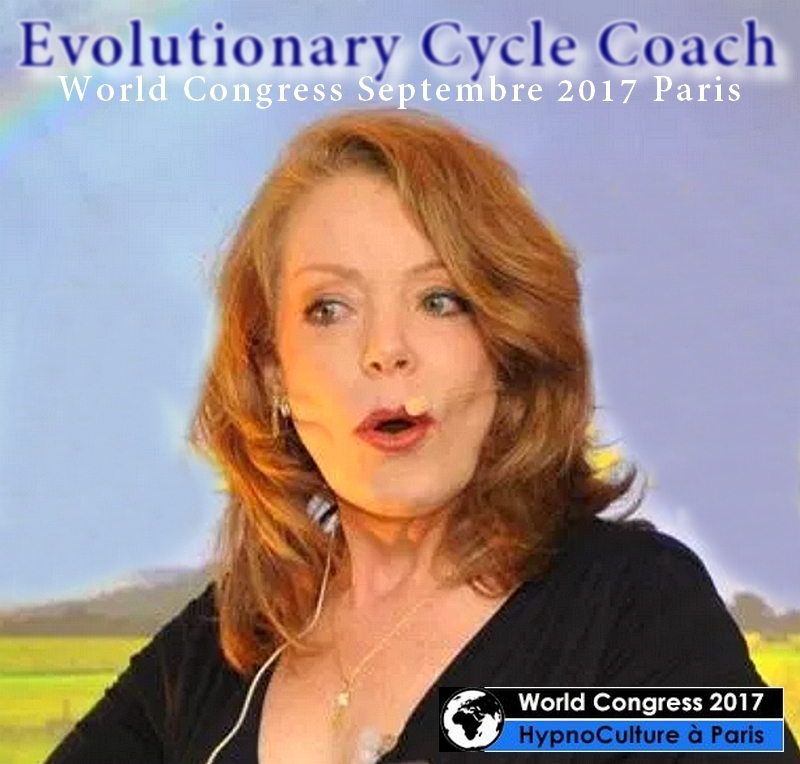 During this workshop, you will revisit suggestibility, and you will be able to experiment some rapid inductions, such as ‘the Bandler Handshake’, the ‘Crystal Skull’, ‘The inductions of Elmann’, and a lot of other ones. Christophe has been on the field of training and management companies, for more than 20 years. He is now a therapist and a teacher at the Psynapse Institute, in France (Psynapse.fr). Passionate about every form of therapies, in conformity with human nature and ecology, Christophe has based his practice on experimentation. Wanderer within the field of therapy, he has an inexhaustible thirst for old techniques, as well as for new technology and neuroscience. No matter which type of hypnosis this is, there is only one hypnosis, the one that defines the patient’s trance. Coaching is fascinating, because, it allows you to take full control of your life. Who has never dreamed about being coached by a Professional Coach, which means, a person that succeed both in his emotional and professional life, living as a mother and wife, or father and husband? Because of the disruption of our societal system, only few succeed in obtaining a perfect balance in life, and achieving any kind of challenges. Have you ever dreamed about a perfect life? A spouse, children, a job with passion, dream vacations… Living in wealth and abundance is the dream for everyone, without having to worry about ungrateful tasks, that parasite your life. The recipe for success, really does exist; but it’s up to you to decide whether you want to follow it, to be ready for a big change, that change that you may be afraid of… In a few words, feel the inner emotions and feelings, you want to live fully until the rest of your life. Coaching is a rich journey into your inner heart, you need to take a little time to sound out your inner desires, your forgotten dreams, your passions, your inner treasures and strength, in order to fully exploit its richness. This is exactly what Arline Davis, a Californian coach living in Brazil, is offering to you, with her personal method called ‘Evolutionary Cycle Coach’, to give you a way to go, as far as possible, within Excellence, with a special focus on your vision, your missions and your deepest values. If your desire is to help people who need to be enlightened and guided, and if you wish to become a Coach yourself, you can become a professional coach and have the legitimacy to practice on the continent of your choice, thanks to the certification of the International Federation ICI, issued in France, by Psynapse Institute. 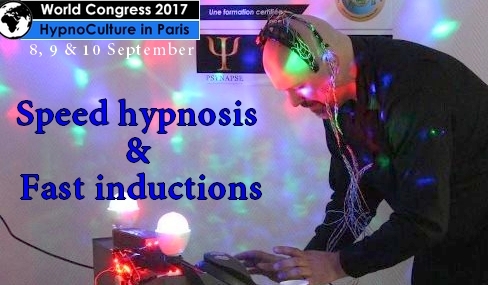 We invite you, to extend your knowledge, by participation at the World Congress 2017, in Paris, at the Holiday Inn Express Paris – Canal de la Vilette, within the theme of Hypno-Culture, the 8th, 9th and 10th of September. At some moments in our lives we would all wish for a radical transformation of ourselves or our destiny. We often desire to change the story that others have been able to trace for us. This awareness is manifested at certain key moments in life. We would then like to take our destiny into our own hands because the dice that have been thrown from our childhood no longer satisfy us. You do not know how to do that. Change suddenly comes through immediate awareness, but often you do not see how to stop these nested processes that are playing against you. Change can be made within you at any time, life itself imposes changes by the simple fact of unforeseen events often painful. You are then obliged to adapt and undergo unintended transformations. Why let the spell decide for you? Using the abilities of our right hemisphere, taking the lead in soliciting your unconscious is possible. In the West, the unconscious is, according to the university literature, the royal way to achieve change. 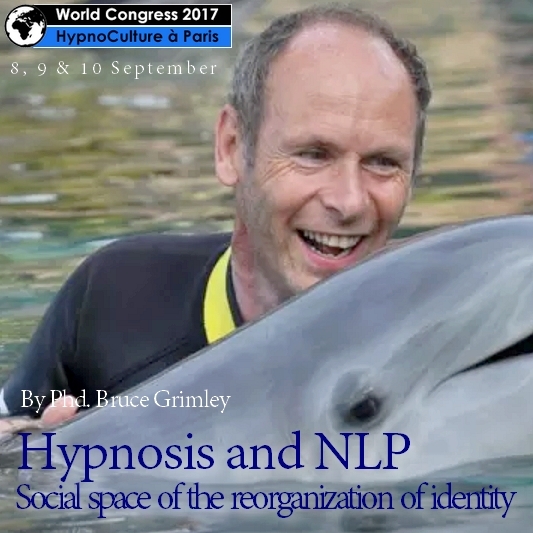 Bruce Grimley’s tools for the unconscious help us to act directly on our brain, on our neural circuits. They allow you to deprogram and reprogram another life story, giving you the means to achieve it. Is your life dependent on a powerful computer, our brain, but still need to know how to use it? The World Congress 2017 offers you the opportunity to reach your heart on the 8th, 9th and 10th of September 2017 in Paris. You will find the key to your transformations! Under the theme of Hypno-Culture, discover, dream, and recharge your batteries! The World Congress 2017 awaits you at the Holiday Inn Paris – Canal de la Villette. Many studies carried out within Japanese universities show that the language used to teach, is one of the determining elements and it is directly related to our motivation. Obsolete learning models are always the ones that are practiced, to the detriment of our ecology. As therapists, parents and teachers, we can easily implement a more effective way of communication, so our children and ourselves can rediscover the taste of learning within the discovery field. In this conference, you will learn: Linguistic models for installing positive belief in learners’ minds, in an easy way. Brian Cullen runs a training and help centre in Nagoya, in Japan. The means of communication he has set up, are based on Japanese Universities studies, carried out on Ericksonian Approaches.